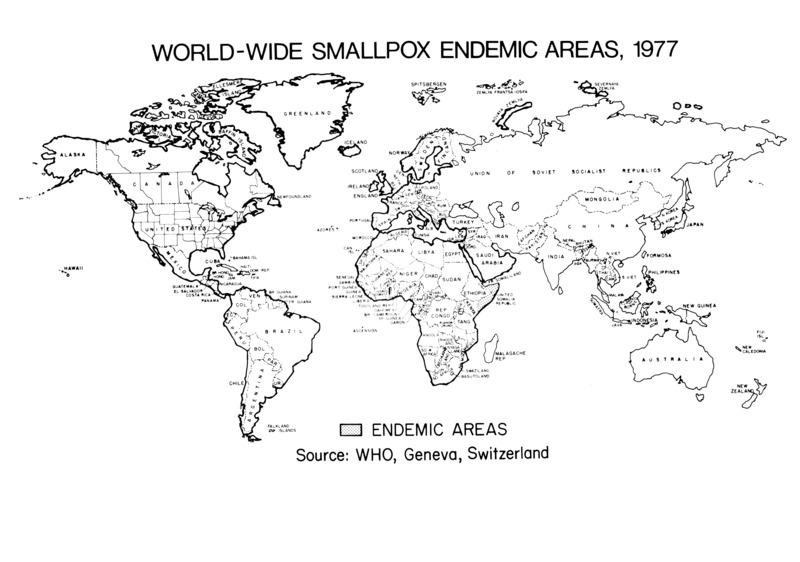 WHO map of smallpox endemic areas in 1977. Only Somalia is endemic. “AREAS WITH SMALLPOX,” The Global Health Chronicles, accessed April 20, 2019, https://globalhealthchronicles.org/items/show/3351.